Design The T630 Series cartridges use a clean-hands single element design to make installation easy for any user. New, longer lasting yields allow customers to spend more time printing impressive documents and less time changing cartridges. As with all Lexmark supplies, these cartridges are designed for the highest quality output, page after page, thanks to our technical experience, high production standards and rigorous product testing. Customer Choice Lexmark offers a wide choice of cartridges, allowing customers to tailor solutions to fit their business needs. Choices include Return Programme and non-Return Programmecartridges available in multiple yields as well as special cartridges with oiled fuser wipers for customers who do a large amount of label printing. Compatibility The Lexmark T630, T632 and T634 Prebate Print Cartridge is compatible with the Lexmark T630, T630n, T630dn, and the Lexmark T632, T632n, T632tn, T632dn, T632dtn and T632dtnf, and the Lexmark T634, T634n, T634tn, T634dn, T634dtn and T634dtnf. The Lexmark T630, T632 and T634 Prebate Print Cartridge is not compatible with past generations of Lexmark printers. Lexmark Cartridge Collection Program Lexmark Cartridge Collection Program includes various methods of return and sponsors unique collection partnerships around the world. Collection programs are always free to the consumer and are designed to be easy to use. Country-specific instructions and shipping labels are available online. Empty cartridges may also be returned through participating Lexmark authorized supplies resellers. The Lexmark Cartridge Collection Program replaces Operation ReSource(SM) for the collection of spent Lexmark consumables. Over the past twelve years, Lexmark's focus on reducing resource consumption and waste has meant millions of laser cartridges have been recycled or otherwise reused. Lexmark Return Program Cartridges Lexmark Return Program Cartridges are sold at a discount versus the prices of regular cartridges in exchange for the customer’s agreement to use the cartridge only once and return it only to Lexmark for remanufacturing or recycling. Regular cartridges without this license/agreement sold at regular prices are also available. 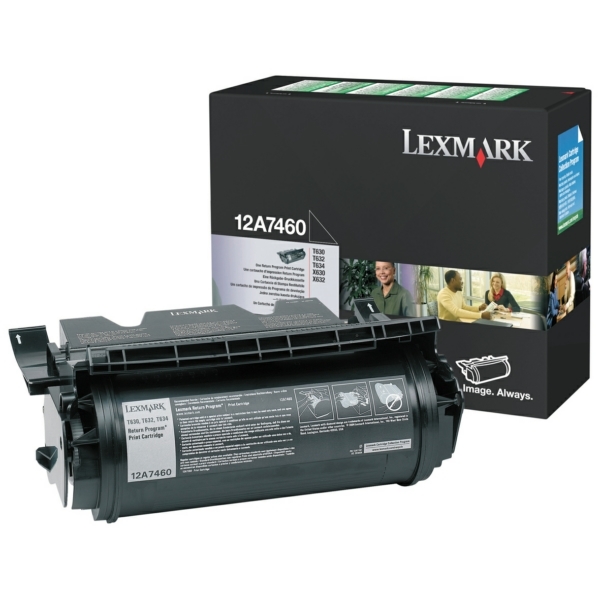 Regular cartridges are also recyclable at no cost through Lexmark Cartridge Collection Program.